When large organizations – complex in structure and deliberate with their decision-making – and startups – rapidly-paced innovators with powerful technologies – sit at the same table, it’s easier to see the (many) differences. The former may employ 50,000 people, while the latter could’ve been founded in a municipality half the size. Yet, what got them there in the first place is the same shared outcome: long-term value creation. If corporate/startup relationships begin with the exchanging of equity, though, the short-term injection can affect the win/win opportunity. Capital investment is in the corporate venturing arsenal – participation for 2018 surpassed 20 percent globally for the first time – but it can’t come first. 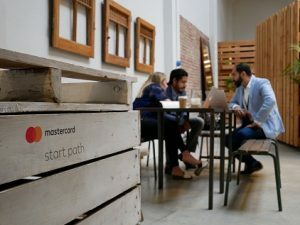 As we’ve learned through Mastercard Start Path, the most effective engagement with startups neither requires nor needs taking equity before working together. Startups change industries rapidly but the world around them is catching up. Global firms have rethought their culture to be more open to partnership, reshaping possibilities. Amid new roads to growth and scale, these three steps can create value for both parties. Start Path creates a bespoke path for all of our startups because no two startups are the same. Defining and tracking specific goals allows for a tailored approach to working together that solves real operational challenges for startups. Implementing a hybrid of physical and virtual engagement creates trusting relationships and periodic touchpoints that keep the interactions focused on delivering toward the defined mutual approach. Leave the pens and the paper at home, stay for the pilots. This is a period of co-creation where learnings from the outside are applied to test in a controlled environment from the inside. Here, we can address the assumptions and break down the unknowns. Proof-of-concept makes way for proof-of-creation. 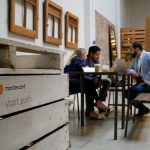 Organizations need to network just as much as university interns, and connecting startups with a broader network is a fabulous way to collaborate when it accelerates the deployment of breakthrough innovation and, eventually, commercial solutions. Under these three pillars, the next wave of Start Path companies are off and running. When Start Path companies flock to Miami next week for the annual Start Path summit, they’ll meet with Mastercard business units, customers and channels to open the right doors for commercial results – long term-value creation. Start Path leads to a true partnership between large organizations and startups. This allows us to innovate faster and smarter and Start Something Priceless together.